Editor’s Note: Appraiser and real estate broker Justin T. Stevens looks at the issue of “low appraisals” from both sides of the fence. This story first appeared in Working RE’s Agent/Broker News Edition. There are well-supported appraisals that come in low, and then there are poorly prepared appraisals that come in lower than they should which hurts everyone involved. Here are some causes and effects. A low appraisal is an adequately supported value opinion where the appraiser utilizes and analyzes all applicable data necessary to produce credible assignment results. A low-ball appraisal, to use the term loosely, is an inadequately supported value opinion, where the appraiser has not analyzed all the applicable data necessary to produce a credible assignment result- either because they can’t or won’t take the time to do so. All parties involved in a transaction can be negatively affected by an inadequate appraisal valuation, including agents, buyers, sellers, escrow and title companies, lenders, and finally, appraisers. Agent-client relationships become strained, buyers are forced to come up with out-of-pocket cash, sellers aren’t getting fair market value- all parties end up working for no pay- except the appraiser. I want to be clear again that not every “low” appraisal is a “low-ball” appraisal. Here’s the difference. Low valuations can be expected when adjustment times lag from a declining to an increasing value trend or where there is a lack of available market data. What is happening today is different. This is certainly not what anyone expected to happen when the real estate market finally rebounded. It’s no secret the current market has changed dramatically over the past 12 months, with today’s reality being low inventory and high demand for residential properties. National economic reports indicate that property values have increased over the past year, and the forecast shows the trend will continue. If this is true, why are there multiple above-list price offers with appraisals not supporting full sales price? While I agree that some appraisals are legitimately supported at lower than sales price values, I also find that many are not. Artificially low valuations are most often due to the lack of understanding of current market conditions and market extraction methods. The most accepted and utilized approach to value, the “Sales Comparison Approach to Value,” bases the appraiser’s value support on past comparable sales data. The weakness here is that utilizing past comparable sales do not allow for current supported values, unless you consider a positive adjustment in today’s market due to appreciation caused by low supply and high demand. The support for a market condition adjustment is the most underutilized yet one of the most necessary adjustments in today’s market. When a real estate appraiser first enters the profession, that person is required to work under and learn from a supervising appraiser, to receive the necessary hours required to earn his/her license and work on his/her own. The new trainee, more often than not, becomes a reflection of his/her mentor, taking on the good traits as well as the bad ones. 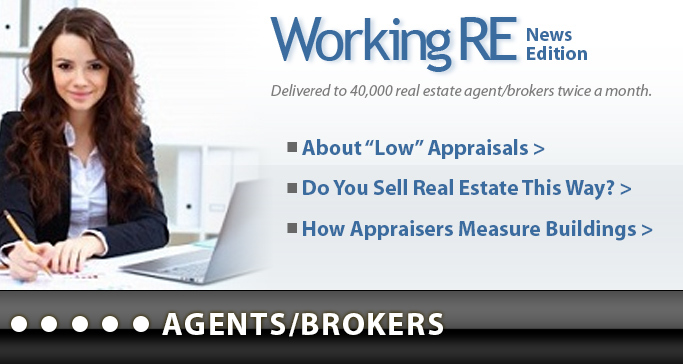 The limitations of the mentor, his/her experience and training, now affect the quality of the newly-minted appraiser. Consider how often market values increase, decrease or go through a stabilization period. The housing prices reached a peak nationally in early 2006, and started their decline in 2006-2007. The S&P/Case Schiller home price indices reported a national increase of 7.3 percent in the fourth quarter of 2012. The increase in value can be much higher from neighborhood to neighborhood throughout the U.S. I’ve personally extracted market condition adjustments in my local areas of 12 percent for 2012. So if the market has been either declining or stabilized for the past five to six years, this likely implies that very new appraisers have had no actual experience of applying support for increasing market conditions. More seasoned appraisers have not practiced or applied appropriate techniques in a while, in some cases. Ironically, this also occurred as prices began to decline after years of doing nothing but increasing. To keep up to speed, an appraiser would have to have been proactive in seeking knowledge and practicing various approaches without being compensated. Many do, many do not. 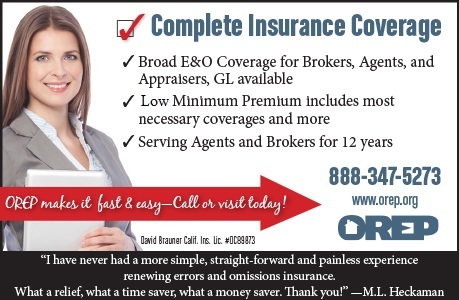 Appraisers have taken a huge hit financially and are being stretched by unreasonable turn time demands and low fees. (Read Survey Results: How Reasonable Are Appraisal Turn Times? 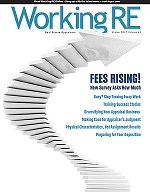 at WorkingRE.com, Library, Volume 32). Even with fees rising, many appraisers are not receiving fees commensurate with the time required to prepare a quality appraisal. For example, today’s market offers an extremely limited supply of recent comparable sales data. As a result, appraisers must apply approaches to value which are complex and require extraction methods that haven’t been practiced in years. Appraisers are being asked to accomplish more for less pay, and if they don’t accept the fee and turnaround time, someone else will. Again, just because a valuation comes in lower than the sales price doesn’t mean the appraiser provided an inadequately supported valuation. As I describe above, there are many causes of a “low-ball” appraisal. Ultimately, it is the appraiser’s responsibility to be ahead of market trends and to completely understand that the approaches to value are neither the same as the past nor the same in every market area. When the agent prepares the offer to purchase the property for the buyer, the default verbiage of the purchase contract states that the buyer’s purchase at full offered sales price is contingent upon the appraisal supporting the sales price (page 2, letter I, of the Residential Purchase Agreement). However, removing this contingency is a prime negotiating tool in today’s market, in order for financing to compete with all cash offers. At face value, the removal of the appraisal contingency is very appealing to sellers, especially when many appraisals aren’t supporting the sales price. Cash offers require no appraisal. However, removal of the appraisal contingency creates risk for the buyer unless they are very knowledgeable in appraisal methodology. Removal of the appraisal contingency means that the buyer accepts and agrees to pay the difference between the appraised value and sales price above and beyond the amount they are already putting down for their loan. If the difference between the appraised value and sales price is more than what the buyer can, or is willing to pay to close the transaction, the buyer would forfeit their deposit—typically between $5,000 and $10,000 – with no property to show for it. The seller may have a property listed longer than expected where the appraisal does not support the contracted sales price; the buyer backs out if appraisal contingency is active. 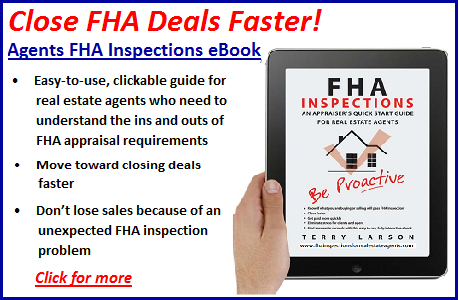 If the seller accepts an offer from a buyer who intends to obtain Federal Housing Administration (FHA) financing and the FHA-appraised value comes in lower than sales price, that FHA appraisal is now attached to that property for 120 days and must be used for all other subsequent FHA buyers at the lower value. We appraisers are receiving more and more revisions from lenders, although these are mainly due to not meeting a client’s requirement for verbiage or comments to their specific criteria. Recently, with agents and buyers losing out on money and time due to “low” appraisals, it’s no surprise that appraisers are increasingly at risk of being taken to court with threats of losing their license for unsupported value opinions- from both well-supported appraisals and those poorly done. After reviewing thousands of appraisals and working with hundreds of appraisers throughout the country over the years, it’s my observation that appraisers with inconsistent standards give a bad rap to the appraisers who truly strive for high quality work. Justin T. Stevens is founder of eValuePort. He is a Certified appraiser and DRE licensed broker associate with TNG Real Estate Consultants. As an independent appraiser, he has served in support and supervising positions for the National Review of Appraisals for the past 13 years. He is also a REALTOR® in Orange County, CA assisting buyers and sellers with their residential and commercial needs. Both positions allow him to review and comment on the real estate industry from a more comprehensive perspective. Mobile Appraising Training Package: Increase your efficiency while saving time and money with this hands-on training package — learn at your own pace! (Includes eBook, Training Video and Webinar.) Click to learn more.